Buying a new car is a big step considering it’s one of the most expensive purchases most people make throughout their lifetime. Since it’s such a big investment, it’s important to take some time and go over your options and your budget before you buy. You should also have some idea of what type of vehicle you want before you set out to make a purchase. Narrow down your search by determining which make and model vehicle you want. Toyotas are one of the leading options available today because they are known for being very dependable vehicles. 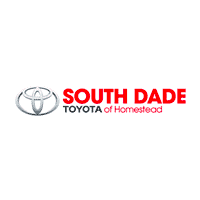 You’ll find several Toyota dealers in Miami to help you with your purchase but before you head out to shop, do some research on the type of vehicles you’re interested in looking at. This way, you’ll have an idea of the going rate for those particular models and you’ll know if the price the dealership is offering is compatible with other dealers in the area. Never buy a new car without reviewing your budget and determining how much you can afford without putting a strain on your finances first. When determining how much you can set aside for a new vehicle, be sure to include your down payment and the cost for insurance. Car insurance is higher for a new vehicle than it is for a used one. A payment calculator will also help you know how much you can afford. Therefore, you don’t want to be caught off-guard or you might end up going over your budget when this figure is added into your monthly bills along with your car payment. It’s easy to get excited about some of the new features many of the vehicles have but it’s not wise to go over your budget. To avoid the temptation, only look at the vehicles within your price range. When test driving the vehicle, take your time to see how well it fits your physique. How well can you see out of the front and back windows? Does the seat move up or back far enough for you to sit comfortably while driving? Do you feel good driving it or does it make you feel uncomfortable or nervous? If you’re not comfortable with the vehicle during the test drive, it’s probably not a good fit. You need to look for a style and model that feels like it was made for you. When you find the right one, you’ll know it. When you’re ready to buy a new car, it can be difficult to walk away from an opportunity but sometimes it’s the best thing to do. If the dealership is pressuring you buy or promising you a onetime discount for that day only, you may want to look around at other dealerships to see what they have to offer before taking the plunge. It’s great to be offered special deals but the dealer shouldn’t be trying to pressure or rush you. The deal should still be available in a day or two and you can take advantage of it then. Having an idea of what type of vehicle you want to buy, setting your budget and taking your time to make your decisions will help to ensure you’re making a purchase you’ll be happy with over the next several years. If you have any questions about buying a Toyota, let us know.